Clark - Town & Country Properties, Inc.
Clark is a small community north of Steamboat Springs off County Road 129. Originally a mining town, Clark is now a popular winter and summer destination. 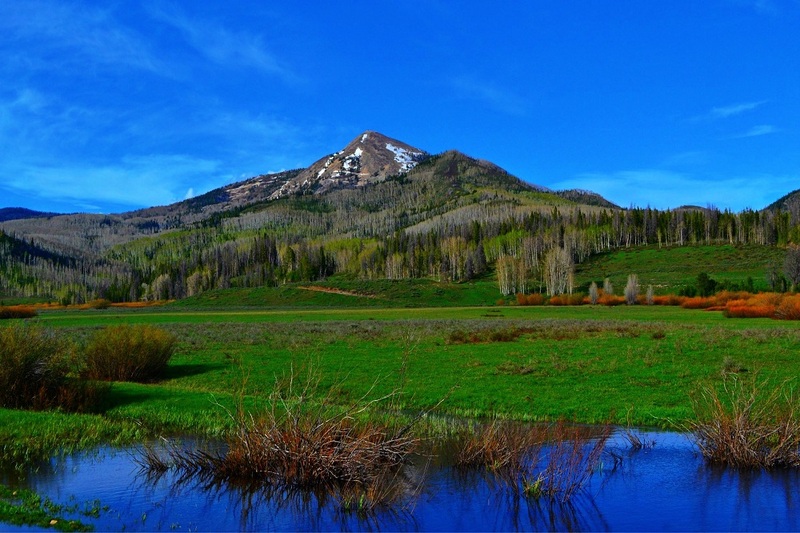 Hahn’s Peak towers over Clark, and it is an extinct volcano! It is named after Joseph Hahn, the first gold prospector in the area. The town is home to Pearl Lake, and Steamboat Lake – which offers a full marina, and campsites. The Routt National Forest is also nearby, offering up more space to explore. Among the local activities are horseback riding with several outfitters, snowmobiling, cross country skiing, snowshoeing, boating, and fishing. There are several guest ranches in the area, including Vista Verde, Elk River Guest Ranch, and the Home Ranch. The Clark Store is an iconic little general store, providing supplies, liquor store, and deli. Hahn’s Peak Roadhouse is a well known establishment, locally owned and operated. They offer up a restaurant, bar, live music, sleigh rides, lodging, and even overnight horse boarding. Get away from the hustle and bustle of Steamboat Springs, and head North for winter and summer recreation! Homes in this area vary, from rustic cabins to custom built homes an acreage. There truly is something for everyone in Clark!